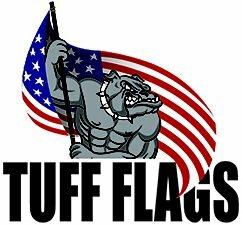 Our premium quality Wall mounting flag kits from Tuff Flags contain all the hardware items that you may need to make your flag display spectacular. 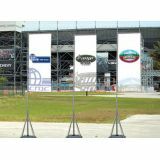 We have flag mounting kits for outdoor and indoor flags, street banners, and advertising flags. From pole to brackets and mounts to unfurlers and more, our Wall mounting flag kits ensure superior strength and a dramatic finish. Make the most of your advertising flags with our hardware items like water weights and fibreglass telescopic poles among others. We also have Pole & Scissor Base or ground spike Replacement Kits for Edge Banners if you need to replace your worn out hardware items. Shop from our complete line of Wall mounting flag kits right away and get the best prices, quick shipping, and much more! 100% customer satisfaction guaranteed! 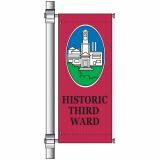 Our flag mounting kits that are perfect for both commercial and residential use are available in various models to complement various flags that range from indoor and outdoor flags to street banners and more. Even the most attractive flags and banners might fail to grab attention of the audience if you don’t have the perfectly matching hardware items to go with our premium flag mounting kits. 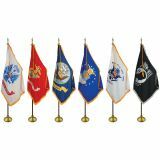 Our superior quality flag mounting kits will not just ensure a spectacular display but will enhance the stability and strength of the flag presentation. 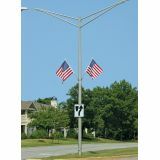 Outdoor flags are often hoisted in tall poles and our accessories including ground mounts and bases or brackets will make sure that the poles remain firm on the ground even in hostile weather conditions like wind or rain while the unfurlers keep the flags flying in full span without getting tangled around the poles. Created with precision, flag mounting kits from Tuff Flags will have everything that you may need to ensure a safe and spectacular display. When you have flag mounting kits from Tuff Flags, you can be absolutely sure that your flag display will turn out to be as spectacular as you want. Check out our collection of flag mounting kits to find an item that matches your flag flying needs. Not sure how to go about it? 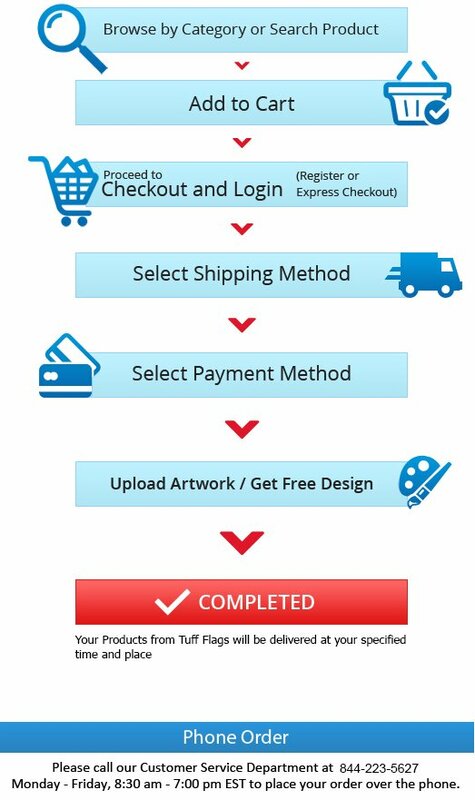 Call us at toll free number (888) 287-3524 or email us at customercare@tuffflags.com and we can walk you through the ordering process and can even suggest the right kit for the type of flag that you use.